On the afternoon of January 22nd, 2018, Vice President Lv Furong of China Council for the Promotion of International Trade Sichuan Council (CCPIT Sichuan Council for short) met with President Suraj Vaidya of SAARC Chamber of Commerce and Industry (SAARC CCI for short). Vice President Lv Furong welcomed President Suraj Vaidya’s first visit to Chengdu after the eighth “South Asia-Sichuan Business Promotion Roundtable Conference” (Roundtable Conference for short), and told President Vaidya that CCPIT Sichuan Council had already reported to Sichuan Provincial People’s Government that SAARC CCI would set up a special exhibition pavilion at the Western China International Fair (WCIF) which was discussed during the period of the eighth Roundtable Conference. It would be realized at the WCIF of this year. President Vaidya said he had two aims for this visit to CCPIT Sichuan Council: firstly, to invite leaders of CCPIT Sichuan Council to attend the SAARC CCI Summit held in Nepal in March; secondly, to suggest to jointly establish a special committee with CCPIT Sichuan Council, targeting at providing service and promoting the personnel and trade exchange and economic cooperation. Vice President Lv Furong pointed out that, the Roundtable Conference held each year had laid a solid foundation for the economic and trade cooperation between Sichuan and eight countries of South Asia, and CCPIT Sichuan Council had strived to enrich the contents, and expand support content on the basis of the Roundtable Conference so as to consolidate the achievements. CCPIT Sichuan Council would take serious consideration about the suggestion of jointly setting up a special committee. 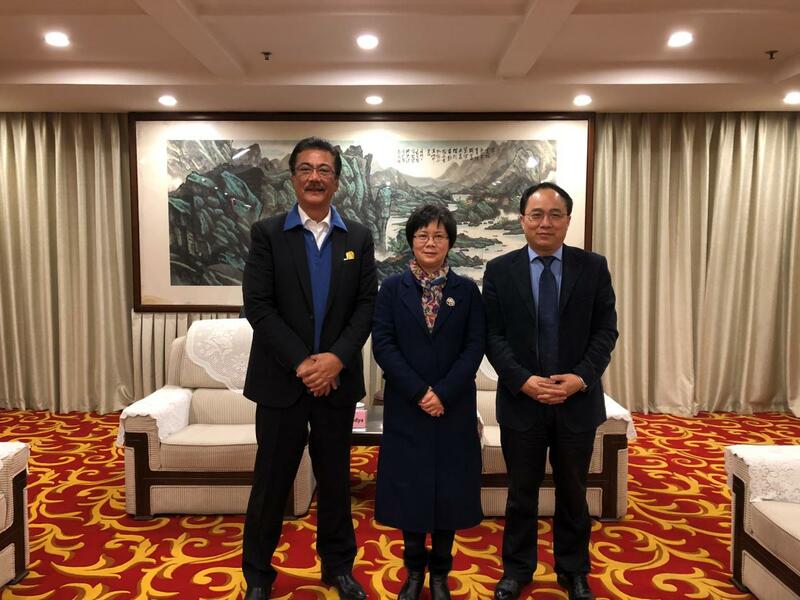 Meanwhile, President Lv Furong introduced the idea and measures of CCPIT Sichuan Council in terms of integrating the research resources of South Asia, and President Vaidya expressed his acceptance and appreciation then. Both sides also had discussion about the further cooperation methods and direction in the future. Head of International Cooperation Department was also present.